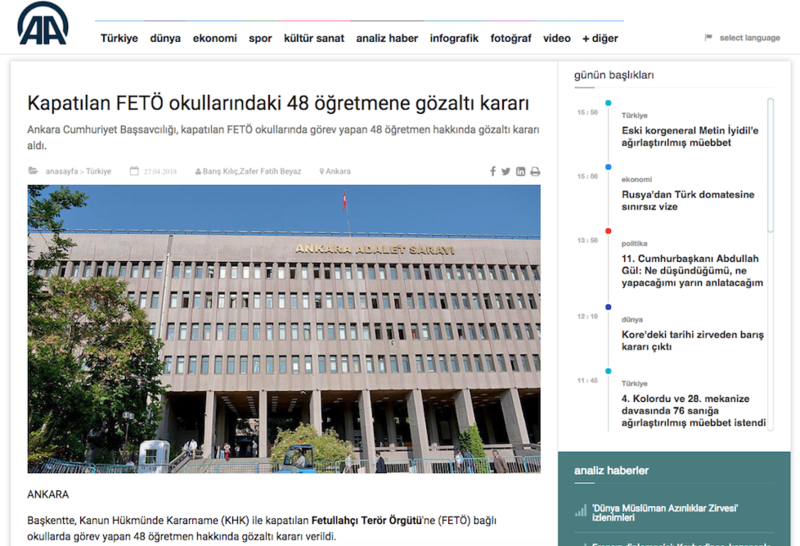 Detention warrants were issued for a total of 48 teachers as part of an investigation into the Gulen movement, on Friday. Police carried out operations in 11 provinces to detain the suspects upon the warrants issued by an Ankara prosecutor. The suspected teachers used to work for the schools which were closed down by the government over Gulen links. Turkish government accuses the movement of being behind the failed coup of 2016 while the latter denies involvement. At least 34 teachers were rounded up at the time of writing.